Fire detection is based on various properties of fire such as smoke emission, a rise in temperature and optical radiation emission. In large spaces or outdoor environments, optical flame detection is one of the fastest and most reliable methods of detection. Such types of detection are based on radiation produced by the flames in visible (Vis), ultraviolet (UV) or infrared (IR). A "bump" in the UV radiation around 200 nanometers; and a near infrared and visible part between 0.4 and 3 microns, which is more or less intense, based on the nature of the fuel. The second signature is of a temporal nature and is used to differentiate a flame from a background radiation (environmental or industrial). A flame will flicker randomly when it is burned naturally (with surrounding air), when compared to an artificially combusted flame that will not flicker as with the case of a Bunsen burner, for instance. The flame’s radiation is usually modulated from 1 to 20 Hz band which can allow efficient pre-filtering of the signal received by the detectors. One or more optical radiation sensors are used to design optical flame detectors, which can be configured on UV, IR, a combination of (UV/IR), or multiple IR bands (Multi IR). False radiation from many environmental or industrial sources can impede with the fire spectrum which can make it difficult to detect the flame. The device should not be affected by this environment and at the same time should have a good sensitivity to fire. Ultraviolet detectors (UV) can only react to UV radiation that has a wavelength of less than 300 nm (a solar blind region). The sensor is a photo-tube that includes an anode and a cathode placed in a large potential difference (about 300 volts), and sealed in a quartz tube filled with inert gas. The photons are illuminated by UV radiation and strike the cathode release electrons, which, in turn, are drawn toward the anode. The gas molecules contained in the bulb are ionized by the electrons - energy carriers, producing a chain reaction. Then, an output signal is generated as voltage pulses sequence by the detector. Sometimes, this type of detector is employed for flammable liquid fires such as hydrocarbon fires but it is not only limited to this. The detector is one of the few devices to allow the detection of metal fires, ammonia and hydrogen. This type of detector can provide an extremely fast response time, hundreds of milliseconds or less, and reach a sensitivity up to pico watt/cm2. Yet, the detection capacity of this detector is attenuated in the presence of smoke. Therefore, in the event of a fuel fire in a closed environment, if the UV sensor fails to "see" the flames relatively early, then it may not detect the fire. In a similar way, the UV radiation is absorbed by the oily films that may be deposited on the window of the detector, or by other organic compounds present in the environment. These factors will limit the detection sensitivity. The detector is also sensitive to lightning storm, electric arcs and X-rays, which can create false alarms. An IR detector is a pyroelectric sensor that is capable of detecting thermal radiation and is rather sensitive to variations of the received light signal. A tantalum/lithium crystal is associated with an OP amp or a field effect transistor. An optical filter (a spectral gate) chooses a specific spectral band or wavelength (2.9 µm, 4.3 µm, 4 to 5 µm…). The crystal perceives the random flickering emitted by the flame in the infrared band and creates a signal processed by a low frequency band pass filter (1 to 20 Hz), before it is interpreted by a microprocessor. Today’s components possess good signal to noise ratios which enable considerable amplification factors, and thus excellent sensitivity to flame radiation. The IR detector is efficient in smoky environments and on bad burn rate fires (gasoil for instance), but it is sensitive to aqueous environments (frost, fog, etc.) and many other interfering IR sources that are present in the environment. These sources may overlap the signals which had to be detected. In order to protect against this strong sensitivity and prevent false alarms, several sensors are now being used in a single device (Multi IR). 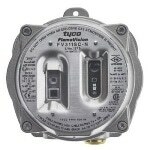 Generally more reliable and cheaper than UV detector, this device has a longer meantime before failure (MTBF) due to less severe constraints on components. This type of detector combines the two technologies (gate AND between "UV channel" and "IR channel"), and provides excellent rejection of false alarms and good detection distance. However, UV / IR combined detectors suffer from the combined limitations of UV and IR detectors. The combined UVIR detector using a performant UV sensor is limited in terms of detection range (distance of detection), by the infrared part. The IR sensor is curbed to keep a “reasonable” activation of the IR chain by the surrounding thermal background. By using extra information in the IR band, via a second sensor, this increases the gain of the amplification chains of the detector and thus increases the detection range, and at the same time maintains a good immunity to false alarms. The present market is obviously geared towards multi IR detectors. The aim is to remove the multiplying information and UV in the IR domain. A large number of devices depend on the CO2 IR band at 4.4 micron, but there are some devices that use the H2O IR band (2.9 microns) in order to detect ammonia or hydrogen fires. Usually, multi IR detectors possess longer detection range and maintain an extremely low rate of false alarms. In addition, these detectors are insensitive to attenuations related to oil vapors and fumes as well as other interference sources like welding arc, lightning, etc. Again, the idea is to increase the gain of detector’s amplification chain and select the wavelength and suitable signal treatments. Three IR detectors are generally used in three different spectral bands, reaching detection ranges between 40 and 80 meters on standard heptane standardized fires, even in the presence of many interfering IR sources in the environment. This technique is also employed for flame detection and is based on image processing issued from CCD matrices. Some models are limited to the visible range for a long time and currently operate infrared matrices with a spectral filter just like the one employed on conventional multi-IR detector to enhance the sensitivity to fire. While the technique is more limited in terms of detection range, a major benefit is its excellent treatment of "friendly fire" which helps prevent flare reflection on metallic elements found in various industrial sites for example. The technique’s limitations are intrinsic to the visible method (reduced efficiency in case of smoky fires or of extremely little emissive fires such as methanol, hydrogen, etc., or in the infrared range (range reduction owing to the presence of water-related compound, detection of hydrocarbon fires only, etc.). Implementation of more advanced signal processing algorithms, based on multi IR technologies with three, four or five sensors. Multi-spectral infrared imaging - the cameras which can now reach the IR range in the appropriate spectral bands are still extremely expensive; however, these are likely to take over from the "classic" cameras limited to the visible. Implementing semiconductor components in the UV range by replacing discharge tubes. Currently, no suitable component is available on the market to obtain this function in this application framework, but these types of components are being worked upon by many laboratories. From a strictly metrological standpoint, optical flame detectors have some specific features. In particular, the concept of sensitivity is more difficult to understand than for a gas sensor and it is essential to clearly identify the factors affecting it. First the fuel: all combustions do not produce the same amount of H2O or CO2 molecules. For instance, a fire of methanol (CH3OH + 2 O2 ⇒ 1 CO2* + 2 H2O*) is less emissive than a heptane fire (C7H16 + 11 O2 ⇒ 7 CO2* + 8 H2O*). Secondly, the size of the fire: From a geometrical standpoint, the amount of signal received by the detector from the fire reduces as the square of the distance between them. In order to get a signal that is equivalent to the one achieved at a distance D of fire surface S, with double the distance (2xD), the fire surface should be multiplied by x4. There are other parameters that are more challenging to conquer while they can also interfere, such as the presence of interfering sources, the attenuation by rain, fog, smoke, wind speed on the fire, reabsorption of CO2 radiation in the optical path, etc. The response time is related to a particular fire as it often decreases with the distance between the device and the fire. It differs considerably from technology to technology (UV detectors are usually faster than IR detectors) and can differ from less than 1 second to 30 seconds based on technologies, fires and Manufacturers. The cone of vision is considered to be a fragile feature, while it is imperative in terms of positioning of devices. Manufacturers provide values between 90° and 120° on the horizontal axis, but sometimes less on the vertical axis owing to the optical elements required for self-test. It must be remembered that sensitivity to a fire is not constant over the entire extent of the cone of vision. The detection range will reduce when it moves away from the optical axis, along with a sudden fall on the cone edge. As a rule, vision angles are given for half distance sensitivity limit against the one acquired on the optical axis. Hence, it is appropriate to consider this value in the definition of the installation. The false alarm immunity is a very critical parameter since the financial outcomes can be huge in case of unintentional activation of the extinguishing system. The devices supplied by key players possess excellent immunity with respect to false alarms and offer a range of evaluated sources, including: the test parameters (distance, power, etc. ), the type of source tested (welding arc, tungsten, halogen lamp, etc. ), if the device activates an alarm in these conditions or not, and if the source is modulated or not. During the time of installation, it must be remembered that the presence of a parasitic source (modulated infrared source such as sunlight through an open sky turbine or vapors) in the device field of view (multi-IR), even if cannot trigger an alarm, represents a significant background radiation which can reduce the device’s sensitivity. The fuel does not contain hydrocarbon molecules: The most suitable device would be a detector configured on UV or H2O emission based infrared. The detection range is generally lower than for multi-IR versions for hydrocarbon fuels. The risk source (potential fire) is at a very long distance and/or is small. One shall then chose multi-IR versions that achieve the best sensitivity. The working area is outdoor. It is therefore risky to use a single UV technology because of its sensitivity to a number of relatively intense UV sources and the fact that UV can be reflected on all types of surfaces, especially metallic. The coverage area includes hot equipment with opportunities for powerful air convection and potential presence of CO2. It is recommended to use the UV technology (UV, UVIR, UVIR2) in order to enhance resistance to false alarms. The alarm triggered must be very short (<1 seconds). First, it is essential to cover the risk on a short distance, and subsequently encourage UV technologies that are probably faster. “Friendly” fires such as a flare are seen in the device field of view, live or by reflection, and the signal is strong enough to trigger a conventional detector. If the reduced sensitivity (see below) does not remove the activation, then this type of fire can be isolated using devices based on image analysis. As mentioned before, the installation must consider the device cone of vision to cover the area that needs to be monitored, preferably with recoveries between detectors. In addition, devices are often installed in a high place and one must note the presence of a “shadowed” area at the base of the detector. It would be better if the detectors are not installed using the IR bands on pipes which can shake in the presence of a strong wind, for instance, so that no background signal is generated which could otherwise interfere with the detection. Using the significant part of the optical flame detectors, users can adjust the sensitivity as well as the time delay before outputting an alarm, depending on the type of risk to monitor the environment. Sensitivity alters the maximum distance at which a given fire produces an alarm. The temporization refers to the time (in seconds) during which the unit should receive a steady fire signal before triggering an alarm. EN 54-10 - Detection and Fire alarm systems - Flame detectors - Point detectors. This EN 54-10 standard has been attached to the Building Products Directive (BPD) through its amendment A1 (in March 2006). Among other things, the EN 54-10 standard provides the frame of the regulatory requirements with respect to performance, functionality, marking, shock resistance, vibration, EMC, light signaling, software design, manufacturing control of the equipment or documentation. For instance, detectors are assessed based on their sensitivity to fire in the following classes: Class 1, Class 2, Class 3. Class 1 and class 3 being the highest level of sensitivity and the lowest level of sensitivity, respectively. On the American market, the repository is in accordance with the FM3260 standard. The method is slightly different from the EN 54-10 standard, but overall, the standard aims to check almost the same type of features. Although is it not compulsory, the evaluation devices in accordance with the IEC 61508 standard is increasingly being demanded by users. Certification, beyond defining reliability parameters (PFD, SFF, MTTR, MTBF etc. ), also covers the software, both in its development process and its structure. The certification determines a Safety Integrity Level (SIL) number for the safety function afforded by the device. This level is increased from 1 to 4, with 4 being the highest. Several devices are SIL2 certified, but the best is to achieve SIL3 certification. 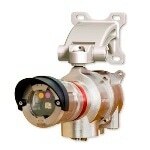 Therefore, selecting the right flame detector depends on exact identification of the requirement. Firstly, this involves questions like what type of fire needs to be detected (metal fire, flammable liquid fires, etc. ), what is the type of working environment (outdoor, indoor, industrial, environmental interference sources, etc. ), what is the response time anticipated and what are the distances that need to be covered. Secondly, the installation should be properly configured: control panel voting function, devices location, functional tests, and adjustment of sensitivity and time delay settings. Finally, maintenance mostly involves cleaning the device window, either when the optical self-tests indicate fault or as a preventive measure. This report is phenomenal, extremely well written technical data. Perfect clarity after just one or two readiings. Meanwhile, a thorough knowledge is reflected, a reassuring expertise that keeps the reader reading, rather than tiring and going on to something else. If the author(s) of this report have written any textbooks, please let me know! best report read so far on internet.